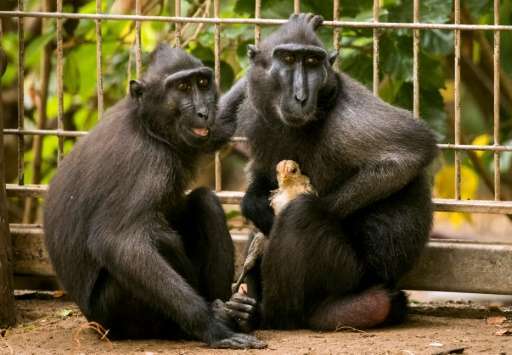 To avoid such a tragic end, officials separated Niv and her feathered companion from the other macaques—apart from her mother, who is often the target of hostilities from other females. The older male macaque in the white suit is named Col. Sanders. 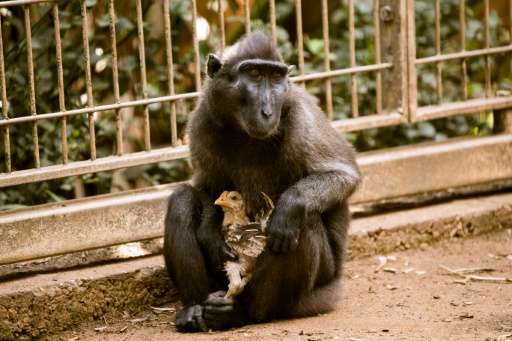 The chicken is being made a monkey of.